The market is located at the Stadsschouwburg, one of Antwerp's biggest theaters which is easy to spot thanks to the big roof. 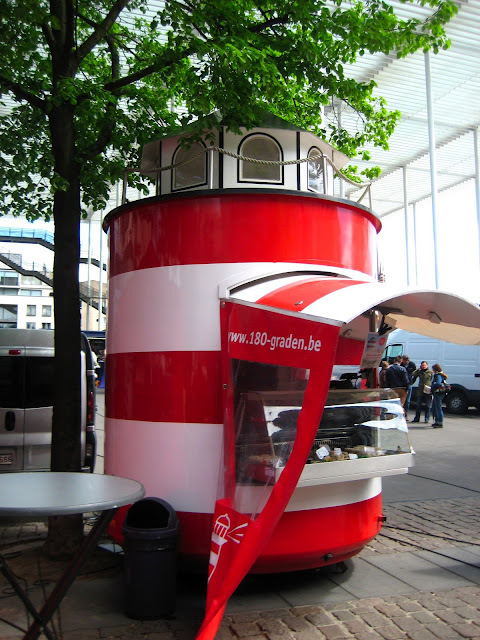 We started off with some shrimp croquettes (garnaalkroketten) from this cute little lighthouse. The main 'stars' of the fruit and vegetable stands were the strawberries and asparagus. These two are the typical fruit and vegetable of this season and the area. This Mediterranean stand was a little more 'exotic' , with fresh mozzarella, feta, ricotta, moussaka, baklava and other typical Mediterranean dishes. I love discovering vegetables I haven't seen before. Check out those little round courgettes and those huge purple aubergines! 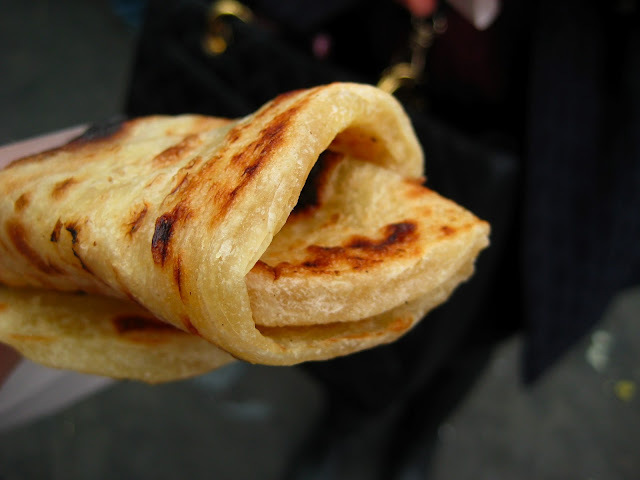 There were 10 different kinds, but we chose the natural ones, freshly made and still a bit warm. So good! 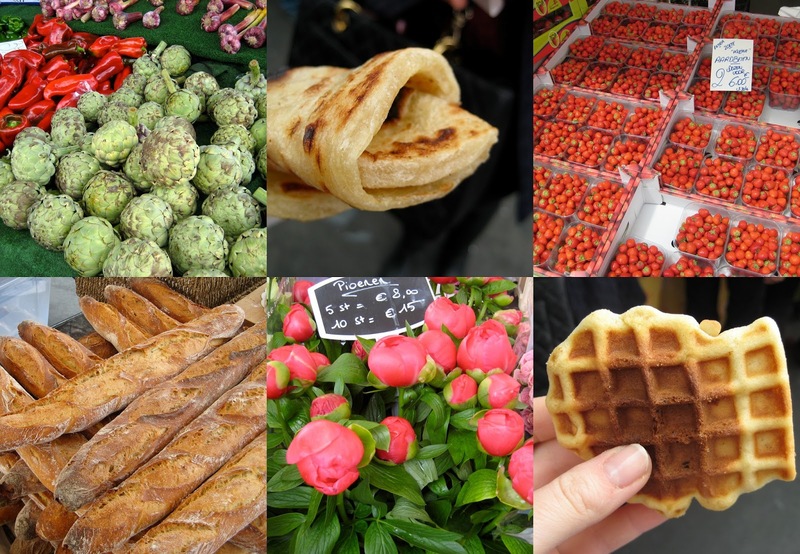 I always ask for flatbread without anything in it because I think it's too good and fresh to 'spoil' with too many other flavours..
With our tummies full, we strolled off the Antwerp's many little shopping streets and said goodbye to the market... until next time! De Vreemdelingenmarkt is open every Saturday from 8 am till 4 pm. Another must-see when you're in Antwerp!